Angry Birds Seasons Day 8 – Show Off Your High Scores! Yesterday, everyone found a sneaky super explosion spot and exploited the heck out of it. I’m thinking there might be something like that today too as day 8 of Angry Birds Seasons seems to have something hidden going on. Either that, or they really do expect you to use all 3 birds, like I did to get 3 stars. Weird. Anyways, show us your scores! 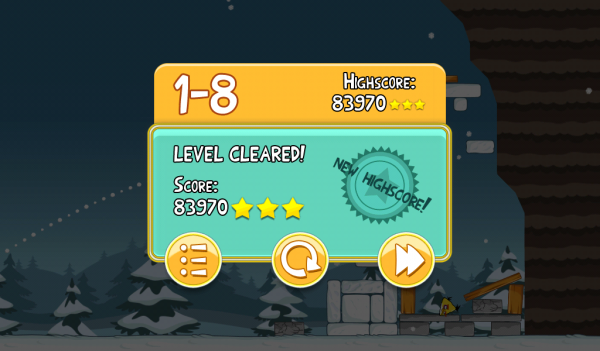 Oh, I should also point out that this Saturday (December 11) is Angry Birds day.